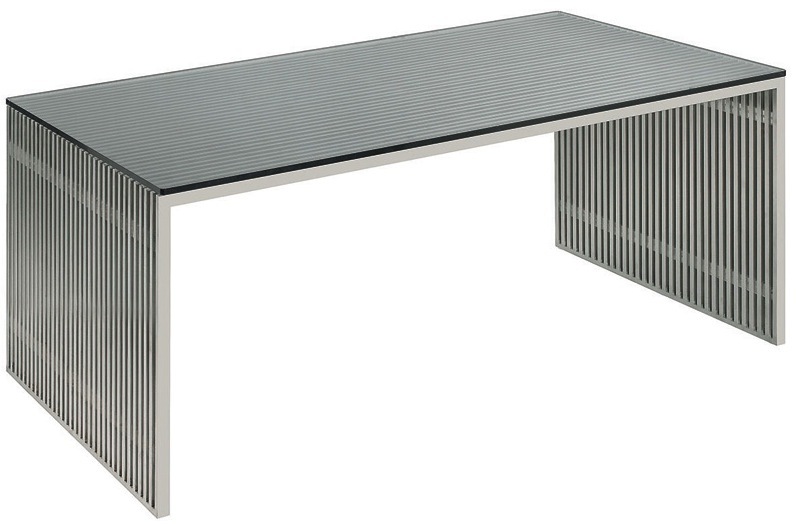 The Amici Dining Table is the perfect piece to make a statement in your modern dining room. A strong modern table with an industrial flare, Amici dining table made from several identical pieces of brushed stainless steel that are connected through clear lucite separators. The beautiful part of Amici bench is that there are no screws or visible connectors. The top of the Amici dining table is a thick tempered glass, making this table a beautiful addition to your modern settings.